Goodreads: Jade has moved from her past toward a bright future. But then the man she loves most destroys her trust. 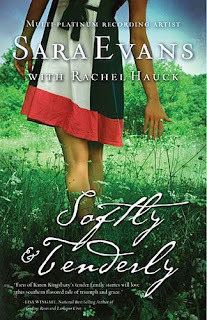 Hurting and confused, Jade embarks on a road trip to Iowa to take her sick mother to her childhood home. In the comfort of the old homeplace, Jade struggles with her fears and the tug of her first love. With the help of her family and her faith, she comes to understand her future doesn't rest on the power of her past, but in the goodness of God's mercy. Kritters Thoughts: A wonderful sequel that lives up to the first book and even more! After reading the first book, I was hestitant because I loved it in so many ways - can the second live up to how much I loved the first. It did and even more, it made me excited that there are rumored to be two more books in this series. As the first book centers solely around Jade, the main character, I think the strong suit for this book was to share the central focus on Jade, her mother and her mother-in-law. Each of these three women had a journey in this book and there were similarities in each of their struggles. The reader was able to get to go both mother figures in a deeper way - some of the story was even told from their perspective. A wonderfully heartfelt book that made me cry as I journeyed through the days with all three women. I am calling this the perfect series to curl up with this winter. The third book will be arriving early after the new year, I will definitely be looking for it. I didn't realize that Sara Evans wrote!